Girls was an American indie rock band, formed in San Francisco in 2007. 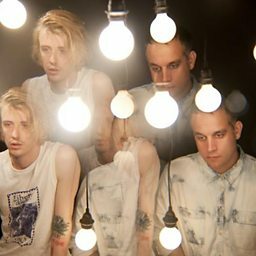 The band comprised two key members: Christopher Owens, songwriter and lead singer, and Chet "JR" White, who played bass and produced. Girls' sound was heavily inspired by the music of the 1950s, 1960s and 1970s, with their sound being described as lo-fi, surf rock, rock and roll, psychedelic rock, pop rock, country rock and garage rock. Girls' debut full-length, Album, was released in 2009 to critical acclaim. Its 2011 follow-up, Father, Son, Holy Ghost, was also well received. On July 2, 2012, Owens announced that he was leaving the band and would continue to record as a solo artist.